Ginataang Hipon (Prawns in Coconut Milk) sprung into my mind when I saw that banana prawns was on special for AUD$12.99 per kilo. Haven’t cooked this dish for awhile now and what better time to cook it again and feature this recipe in Busog! Sarap! Eating this dish with your hands is truly enjoyable. Ladle some of the sauce on top of your freshly cooked steamed rice and then unshell the prawns on top, so that the extra juice drizzles on your rice adding more flavour. It is a very simple and easy to cook recipe and I hope it becomes one of your regular dishes at home. ~ Trim the whiskers of the prawns and rinse with cold water, drain and set aside. ~ Rinse the tomatoes, capsicum and chillies in cold water and drain them before cutting. ~ Snap off the tender leaves and stems of the kangkong and dispose the tough stems and older/yellowish/damaged leaves and then rinse in cold water and drain. ~ Heat cooking oil in pan and sauté garlic and onion, cook till onion is translucent. Add diced tomato and cook till mushy. ~ Pour in the coconut cream and bring to boil and lower heat to simmer the sauce. Add the prawns and let it cook for a few minutes till it turns into slightly rosy colour. ~ Include the rest of of the ingredients (salt, pepper, capsicum, chillies and kangkong), stir well. Cover the pan with the lid and let it simmer for about 15 minutes. ~ Before you turn off the stove, taste the sauce and adjust the seasonings to your liking and stir to combine the additional seasoning. Place the lid once again and turn off the stove. BEST WITH: Freshly cooked steamed rice. You can add slices of ginger while you are sautéing the garlic and onion. Disposing some of the seeds of the chillies lessen the heat, the amount of what I added in this dish, only gives you that warm heat sensation in your mouth. When you handle chillies, please wash your hands soon after, as accidentally touching your eyes or nose (it happens!) will give you an unforgettable pain. 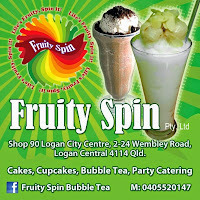 ur very fortunate to get the ingredients that u need in brissy! i normally cook this dish with ginger, chilli leaves instead of kangkong..and no tomatoes. i would love to try ur version but i couldnt find kangkong (or chilli leaves where i am) any suggestions? You can use silverbeet, get rid of the stalks and cut the green parts into thick strips, blanch it first in boiling water for a couple of seconds till it's limp and dark green (do not overcook), drain and let it cool. Once it's cool enough to handle, squeeze the juice out of it and use it instead of the kangkong in Ginataang Hipon. Hehehehehehhe...you made me think the whole night....good question! Sarap! I have to make this soon! Hi! Planning to cook this on my sons bday. And it would be messy for the visitors to peel off the prawns. Will the taste differ if I will use the peeled prawns already availabe in the supermarket? Thanks a bunch! can i use tomato sauce instead of fresh tomato?